All is not lost if you have gum disease. The infection can be tricky, usually starting out with little to no pain or irritation. You might not even know you have the milder form of the disease, called gingivitis. Without gum treatment, it can develop into the more severe form, periodontitis. Fortunately, treatment for gum disease is available! The goals of gum disease treatment are to control infection, prevent tooth loss and keep the disease from damaging tissues. 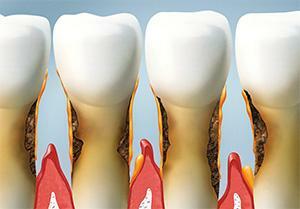 Treatment for gum disease depends on how far the condition has progressed and how well your body responds to therapy. Non-Surgical Step -- Bleeding gums treatment or receding gums treatment starts with a deep cleaning. This type of gum treatment involves a process called scaling and root planing, where dental plaque and dental tartar deposits on tooth and root surfaces are removed. This gum disease treatment helps gum tissues to heal and gum pockets to shrink, with the help of medications prescribed by your dentist. Periodontal Surgery -- This gum treatment option is used when the tissue around your teeth is unhealthy and cannot be repaired with non-surgical bleeding gums treatment. 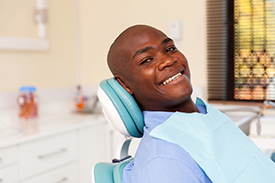 The specific procedure your dentist performs depends on your case. With surgery, dentists can access areas under the gum and along the roots where plaque and tartar have accumulated and are hard to reach. Bone Surgery or Bone Grafts -- When the disease has destroyed part of the bone too, receding gums treatment may require dentists to rebuild and reshape the bone with a bone grafting procedure. Gingival Grafting -- Bleeding gums treatment may require tissue grafting, which simply means healthy tissues from another part of the mouth are stitched in place to help anchor the teeth. 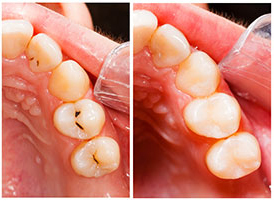 This gum disease treatment is done when the existing gums are too diseased to sew back together. The Best Gum Treatment? Prevention. Gum disease is usually preventable. Just take care of your teeth! Proper oral hygiene is a good start: Brush regularly with a fluoride-containing toothpaste, floss every day and visit your dentist regularly. If you think you need gum treatment, don't wait! Give Global Dental Center a call today. Ever wish you could sail through dental visits without anxiety or fear? Would you rather endure an agonizing toothache than go to the dentist? Answering “yes” to these questions could mean that you're a perfect candidate for sedation dentistry. 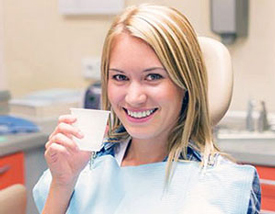 With sedation dentistry, you can forget about fear and focus on pure relaxation. There are different levels of sedation to accommodate every patient. Minimal sedation involves inhaling nitrous oxide (“laughing gas”). Nitrous oxide helps you relax and wears off quickly. Electronic anesthesia is an alternative form of mild sedation that uses electronic impulses to help you relax. Conscious sedation is a moderate level of sedation that causes drowsiness and is taken in pill form. IV deep sedation is typically administered intravenously and works very quickly. With IV deep sedation, most patients fall asleep but can be easily awakened. Total sedation could be the only solution for people with an intense fear or phobia of dentistry. With total sedation, or general anesthesia, you are completely unconscious and cannot be easily awakened. Feeling out of breath after running a few miles is normal. Being out of breath while you sleep is not. But millions of people with sleep apnea are literally out of breath every night, according to the National Institutes of Health. If sleep apnea sounds Greek to you, that's because it is -- apnea is Greek for "without breath." People with sleep apnea stop breathing in their sleep -- sometimes up to 100 hundred times an hour -- for one minute or longer. There are three types of sleep apnea: obstructive sleep apnea, central sleep apnea and mixed sleep apnea. Obstructive sleep apnea is the most common and is caused by a blockage of the airway that occurs when the soft tissue in the rear of the throat collapses and closes. Late nights out will surely cause you to feel groggy in the morning. But if you go to bed early every night and still feel tired and disoriented the following day, you just might have sleep apnea. Snoring is also a strong indication of sleep apnea. If anyone tells you that you have loud bouts of snoring followed by moments of silence, sleep apnea is probably to blame. Do you have a history of heart disease? Do you smoke or drink alcohol frequently? Does your famly have a history of sleep apnea? Are you of African, Pacific Islander or Mexican descent? Most people don't know they have sleep apnea. But left untreated, sleep apnea can cause high blood pressure, memory problems, headaches and even impotency. Moreover, sleep apnea can affect your job performance and impair your driving. Continuous Positive Airway Pressure (CPAP) -- A mask and headgear that works by blowing pressurized room air into the airway in order to keep it open. Oral Appliances -- Oral appliances push the lower jaw forward or prevent the tongue from falling back over the airway, or a combination of both. Silent Nite® is an example of an oral appliance. Surgery -- There are different types of surgeries available to treat sleep apnea. Dental surgery creates a more open airway that is less susceptible to blockages. An active lifestyle calls for active safety. And while helmets, goggles and knee pads have become standard equipment to protect our bodies, it's important to remember to protect your teeth as well. Mouthguards offer an easy, reliable method to cushion your teeth during athletic and recreational activity. Participating in any physical activity involves a risk of contact with the face and mouth. Although many sports teams require some protective gear, the delicate teeth are often overlooked. Considering that even minor direct force can cause teeth to chip, break or come loose, a mouthguard is a crucial piece of equipment for all active or athletic activities. Mouthguards are especially crucial during contact sports such as football, hockey or boxing, where blows to the body and face are regular occurrences. 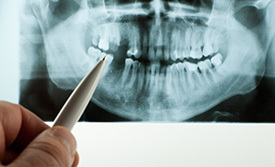 But even non-contact sports such as gymnastics, and recreational pastimes such as skating or mountain biking, still pose a risk to the teeth. When participating in any activity that may result in injury to the mouth, dentists recommend that the teeth be properly shielded with some form of dental mouthguard. Stock Mouthguards -- These pre-made protectors can usually be bought wherever sporting equipment is sold. Most dentists do not recommend their use because they cannot be adjusted to your mouth and provide only limited protection. Boil-and-Bite Mouthguards -- Boil-and-Bite guards are softened with hot water and then molded over your teeth. A somewhat customized fit leads to better protection and greater ease in talking and breathing. These are also available at most sporting goods vendors. Custom Mouthguards -- Your dentist can create a custom mouthguard designed specially for your teeth. These offer the best fit, comfort and protection, but may be more costly than store-bought varieties. In addition to cushioning your teeth from unnecessary force, using a mouthguard can prevent injury to the tongue, lips, face and jaw. It can also prevent or lessen the effects of headaches and concussions. Patients who wear dental braces should be especially careful to protect their mouths during physical activity. Make sure to discuss your level of activity with your dentist and find out which type of dental mouthguard best fits your needs. Teeth-grinders, heed this: The earlier you catch the damage, the better your prognosis. Want to know one excellent way to combat the bothersome habit of nighttime bruxism, or teeth grinding? Use of a night guard -- every time you sleep. If you think the trouble or expense of a dental night guard isn't worth it, or you aren't even entirely sure it's tooth-grinding behind what seem to be increasingly shorter teeth, headaches, jaw pain and a perturbed sleep partner, come see us. 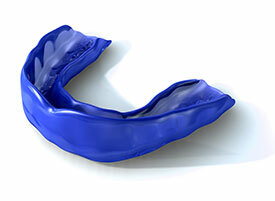 Based on the amount of damage you may have already done and the symptoms you describe, we can determine whether a night mouth guard is right for you. 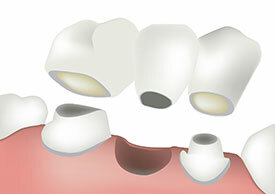 Once we determine that you're a good candidate for a night guard, we will create one that's custom-made for your mouth. 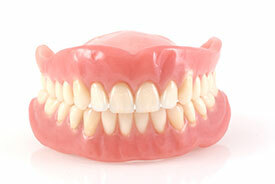 A professionally made night guard for teeth is composed of soft material and slides over one row of your teeth. Once your dental night guard is in place, you can sleep soundly knowing that even if you do grind your teeth once you're asleep, your upper and lower teeth will no longer make contact. You might spend all day admiring those attractive front teeth, but your back teeth molars get the real work done. The chewing surfaces of your molar back teeth are rough and contoured with pits and grooves to help break down food. While brushing and flossing helps remove food and dental plaque from smooth tooth surfaces, properly cleaning these deep fissures on your molars can be much more difficult. Luckily, dental sealants offer molars a safeguard from tooth decay. Made of plastic resin, these tooth sealants are applied to the grooves of premolars and molars to "seal out" cavity-causing bacteria and food. Decay starts early in life, so dental sealants are generally placed on your teeth at a young age. Although dental sealants are usually applied early in life, adults at high risk of developing decay can also benefit from receiving them. 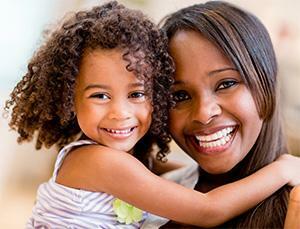 Consult with Dr. Roberson and Global Dental Center in Memphis to determine if tooth sealants are right for you.